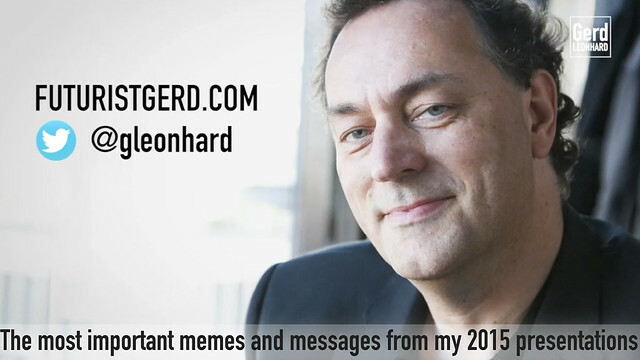 The end of the year is always a good time to review and reflect upon what worked well, and what did not, so here are those slides, memes and topics that repeatedly struck a chord with my audiences in 2015, covering topics such as artificial intelligence, automation and the future of human work, the challenges of abundance, humarithms vs algorithms, technology versus/with humanity and many more. Most of the related presentations can be downloaded via this blog, of course, or via my public cloud. My most successful video this year was this short film on technology versus humanity, and all the other videos on related topics, see this playlist. All images are provided under creative commons attribution licence.